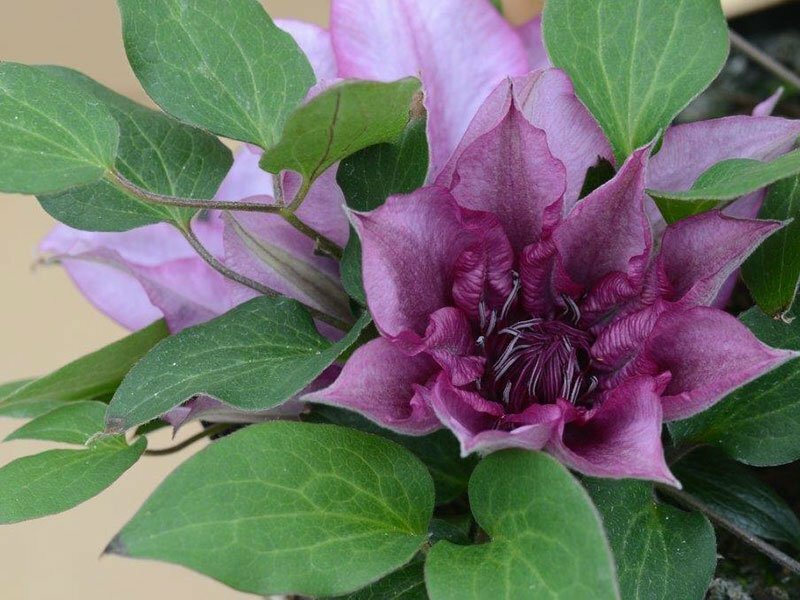 A Tudor Patio® clematis raised in Guernsey, which is extremely dwarf, reaching a height of only 12-18 inches. The flower colour is a distinctive mauve. An ideal variety for hanging baskets or for borders.